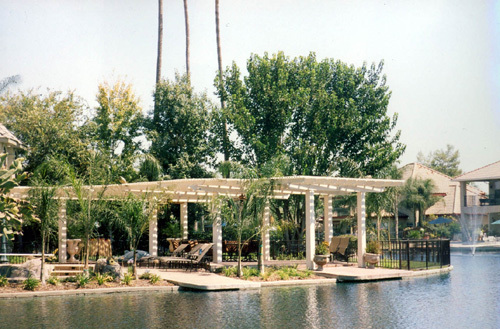 As an expert in patio designs and general home improvement, the team at Mico Construction has the knowledge and skill to turn any backyard into a private oasis. The difference between good patio designs or bad patio designs goes much further than simply a personal preference. Price, customer style, utility, materials, as well as the fine details can make a big difference in determining what is most appropriate for a particular home. Budget is always a concern when developing a backyard. You want to get the most “bang for your buck” but bigger isn’t always better. When you overextend your budget, the quality of your finished product may suffer. Patio designs that ride the edge of budget constraints are noticeable and often get replaced. However, the right professionals can develop patio designs that take into account the budget, even offering phased approaches to help you maintain the highest quality and expand on the space with future additions. The right balance of site work and landscape can also help to extend the feel of your space for a permanent or temporary finished feel. Some like raised decks while others prefer stonework. I personally think a BBQ island should be a required element in all patio designs but that may not be the case for everyone. Patio designs are personal and should be customized to the home. Obviously, there are standard elements that may be common in several patio designs but then again, there are many common elements in homes (doors, windows, garages, etc.) but a person’s home is still unique to those who live there. Mico Construction has been designing and building outdoor rooms, indoor sunrooms, backyards, and home additions for over 35 years. The team is working hard to provide as many private oasis backyard spaces in the Central Valley as possible, several of these patio designs can be seen in the gallery pages of the MicoConstruction.com website. Even with the busy schedule, Mico Construction is always willing to discuss options you may have to upgrade your home within the time and budget you have available. Before your next big summer BBQ, get a little free patio designs advice from Mico Construction!